CAPTAIN MARVEL is amazing. Not only did it introduce us to one of the MCU’s first superheroes Nick Fury ever met, but also a new alien race, the Skrulls. Skrulls are a big part of Marvel’s comic universe. 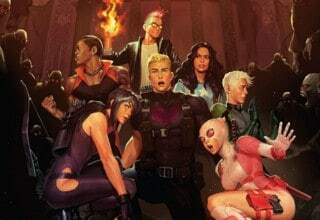 Is it possible that they’ll play just as big a part in the MCU? 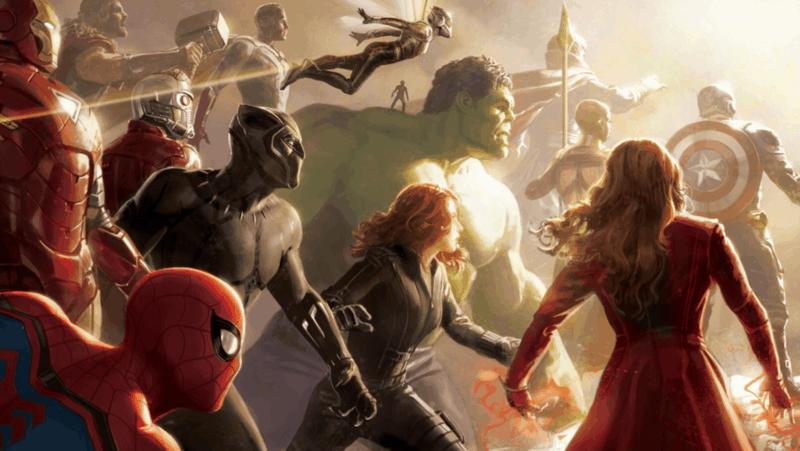 Could Marvel’s SECRET INVASION be in the MCU’s future? Let’s explore this idea. The Skrulls are a shape-shifting alien race, sworn enemies of the Kree Empire. Typically in comics, the Skrull Empire is an evil bunch, infiltrating planets they see as valuable to their cause. They take on the appearance of the planet’s most important figures and leaders, conquering it from within. 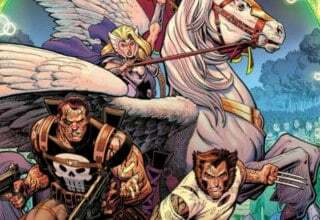 They first crossed paths with the Fantastic Four, later pulling the Avengers into their battle with the Kree. 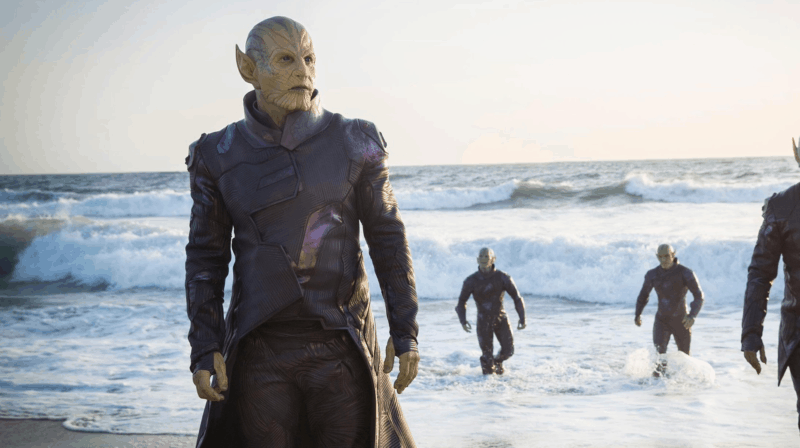 Now, the Skrulls we see in CAPTAIN MARVEL are a little bit different. We discovered that the Skrulls are no longer a strong empire, but small pockets of survivors separated across the galaxy. The Skrull race has been all but decimated by Kree who reveal themselves to be not as heroic as Captain Marvel or any of us initially assumed. Carol Danvers ends up rescuing the Skrull refugees she meets on Earth, led by the Skrull Talos (Ben Mendels0hn). The film ends with Carol helping them find a new home, away from the threat of Kree. It’s more than likely that we’ll be seeing the Skrulls down the line in future installments of the MCU. 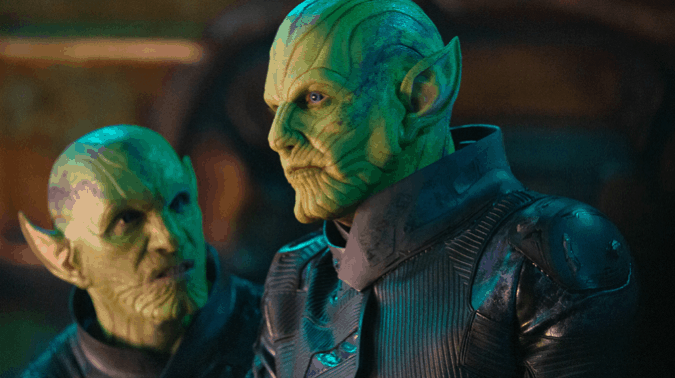 It’s also possible that the future Skrulls we may see might not be as nice as the Skrulls we meet in CAPTAIN MARVEL. Some could be out for revenge, having a desire to rebuild their empire. Perhaps a la Marvel’s SECRET INVASION? 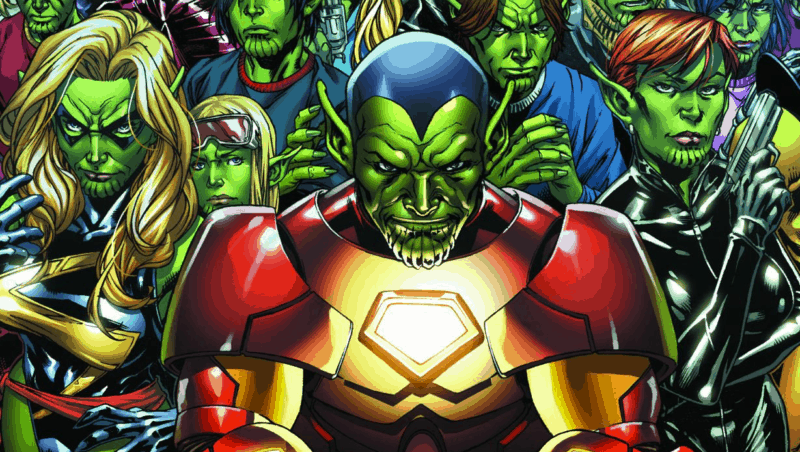 What is Marvel’s SECRET INVASION? Marvel’s SECRET INVASION is a story from the comics where the Skrulls infiltrate Earth via its superhero community. After a mission, the New Avengers discovered that Elektra, whom they were fighting, had been replaced by a Skrull. This sows paranoia and distrust within the ranks of Marvel’s heroes. Eventually, Mister Fantastic creates a device that allows the heroes to detect who is and isn’t a Skrull. The plan was for a long term invasion, led by Empress Veranke. Veranke herself takes the form of Spider-Woman. However, the plan fails, and the real superheroes prevent the invasion. Veranke herself dies at the hands of Norman Osborn. While I would certainly expect certain characters and events that happen within Marvel’s SECRET INVASION to be different for an MCU adaptation, the core of the story would still work and be just as entertaining and epic. Plot For CAPTAIN MARVEL Sequel? 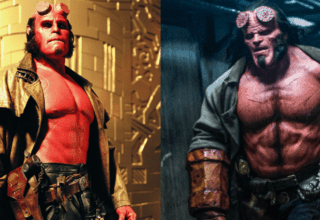 With the success of CAPTAIN MARVEL, it’s not hard to assume that a sequel is on the way. Could Marvel’s SECRET INVASION be the plot for the next CAPTAIN MARVEL movie? It certainly could be. The CAPTAIN MARVEL sequel could go one of two ways: it could take place in the past right after the events of the first CAPTAIN MARVEL, or it could take place in the present after ENDGAME. I’m much more of the mind that Marvel’s SECRET INVASION is much more likely to happen if the sequel’s in the present. Captain Marvel is perhaps trying to adjust to life on Earth. 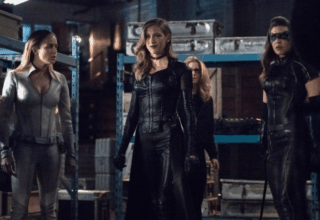 Then, she discovers a secret plot by the Skrulls to infiltrate and invade the planet with a long-term plan, having been hiding among the human race for years. If the CAPTAIN MARVEL sequel is set in the 90’s right after the first one, I would imagine a different plot. Most likely, the sequel would focus on Carol taking down the corruption of the Kree Empire, like she promised Yon-Rogg she’d do. It could involve the Skrulls she was helping to relocate to safety, but I don’t think Marvel’s SECRET INVASION will be the focus. Have We Already Met Empress Veranke? 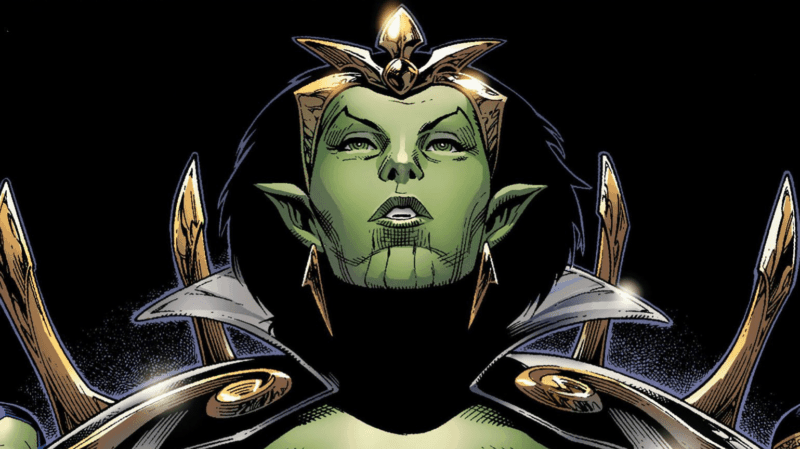 It’s also possible that we’ve already met the Skrull Empress Veranke. A very popular theory that has been circling around is that Veranke is in CAPTAIN MARVEL as one of the refugees. More specifically, Talos’ daughter. 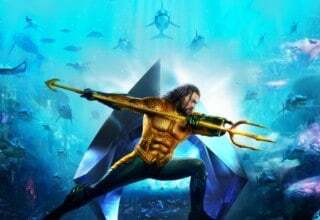 The theory comes from the scene where Talos is trying to get his wife, daughter, and other refugees to safety while Carol fights off the Kree Starforce. Talos is fighting off some Kree soldiers when he tells his wife to cover their daughters’ eyes. She does, but the daughter pulls away so she can watch her father fight. She looks proud that her father is fighting their enemies. 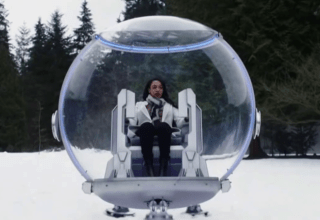 It’s a small moment, but it’s enough to suggest a bigger future for Talos’ daughter. She could very well grow up and become Veranke, gathering those pockets of survivors into an invasion force. She could desire revenge for her people, wanting a world of her own. 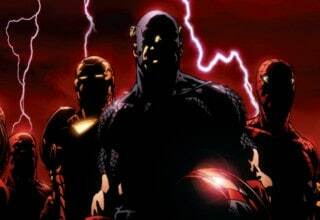 Marvel’s SECRET INVASION storyline could provide that while providing an antagonist that has some significant dynamics and sympathetic dimensions. Why should Captain Marvel have all the fun? Marvel’s SECRET INVASION is definitely a big enough story to be a fully-fledged crossover event, just as it is in the comics. A Skrull invasion could be the next chapter that ties all of the Marvel films together, just as Thanos and the Infinity Stones have done for the last 22 films. The level of distrust and paranoia would be crazy to see lived out on the big screen across multiple films. Imagine seeing a Marvel film, enjoying it, and then having whichever hero gets replaced by a Skrull by the film’s end. What?! It would be nuts! You could then have an epic crossover where we, the audience, know of a few heroes who are really Skrulls and who’re not, but also perhaps still have some surprises along the way too. Skrulls could be the next chapter for the MCU continuity after ENDGAME. 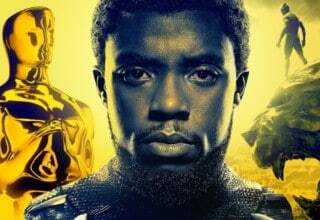 It would make sense for some sort of new and big arc to tie the film together after what Marvel Studios head Kevin Feige is calling the “Infinity Saga” wraps up with ENDGAME. Skrulls would introduce something new. It wouldn’t just be a new threat in the form of new adversaries. It would be a threat in the form of broken trust. An inability for a hero to put faith in his or her allies. Gosh, it would be so cool. 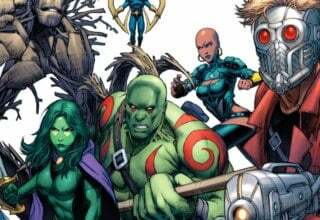 In any case, we don’t yet know if, how, where, or when the Skrulls might appear in the MCU’s future, or if Marvel’s SECRET INVASION will play a part in it. I certainly hope they will. In the meantime, I’ll be looking forward to ENDGAME which can’t come soon enough! CAPTAIN MARVEL is in theaters now. AVENGERS: ENDGAME releases April 26th.